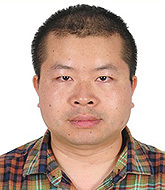 Dr. Baoliang Zhong is an instructor and attending physician at the Department of Geriatric Psychiatry, Wuhan Mental Health Center, and also an academic leader in public health related to psychiatric disorders. 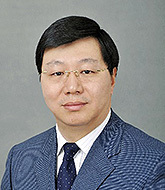 He serves as the Secretary of Wuhan Medical Association Psychiatry Branch. Dr. Zhong obtained his PhD from the Chinese University of Hong Kong in 2014. He obtained his Master of Science and Bachelor of Medicine from Peking University Health Science Center in 2008 and 2006, respectively. He received postdoctoral training in Geriatric Psychiatry at University of Rochester Medical Center from 2014 to 2015. His main research interest is geriatric mental health services. Dr. Cai Waijiao graduated from Hunan University Of Chinese Medicine in 2005. 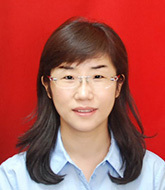 She received her PhD from Huashan hospital, Fudan University in 2012. During her PhD study, she was sent to Buck Institute for Research on Aging, USA where she was trained as a geriatric researcher for one and half years. 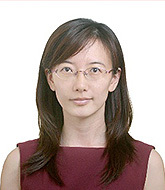 She is an Assistant Professor in Aging and Age-related Diseases Research Center/ Integrated Chinese and Western Medicine Institute, Huashan hospital, Fudan University. Her research focuses on biological and health-enhancing effects of natural compounds extracted from Traditional Chinese Medicine (TCM) herb-recipes as well as interventions of nutrient and energy metabolism in aging. She has obtained several grants from the Ministry of Education of China and Shanghai Health Bureau. In 2013, she won the second prize of Science and Technology Progress awarded by the Shanghai government and first prize of Science and Technology Progress awarded by the Association of Integrative Chinese and Western Medicine in 2013. She was also named as the “new star in TCM” in 2015. 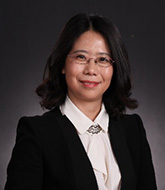 Dr. Haiyan Zhang is an Associate Professor of Medicine and Associate Director of Geriatrics at The First Affiliated Hospital of China Medical University. Dr. Zhang received her MD and PhD from China Medical University. From 2007 to 2008, she was a Visiting Professor at Kyushu University. 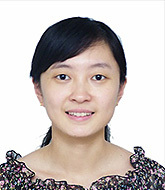 She has obtained several grants for her research from the National Natural Science Foundation of China. In 2013, Dr. Zhang received the second prize of Liaoning Provincial Science and Technology Progress Award and the second prize of Shenyang Science and Technology Progress Award. 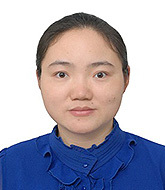 Jinlei Li received her Bachelor’s Degree in Public Health from Hebei Medical University in 2009 and Master’s Degree in Cancer Epidemiology from University of York (UK) in 2010. 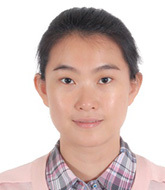 She received her PhD degree in Health Sciences from University of York, and has been working as a researcher at the Peking Union School of Public Health (PUSPH) since 2014. Her research interest focuses on epidemiology of dementia and chronic diseases. Dr. Jie Liu is an Associate Professor of Dermatology at Peking Union Medical College Hospital where she is a mentor for graduate students. She graduated from Peking University in 2000, and received her doctor degree from Peking Union Medical College in 2006. She later received an award from Sino French Foundation for Science and its Applications (FFCSA) in 2009. This award supported her postdoctoral study of “Primary cutaneous lymphoma biomarker discovery platform” in CLIPP (Clinical Innovation Proteomic Platform), IFR 100 Santé STIC, Université de Bourgogne, Dijon, France from 2010 to 2011. Dr. Liu’s research is primarily focused on cutaneous lymphoma. She is the principal investigator and co-investigator of 10 research projects with funding from the National Natural Science Foundation, the Beijing Natural Science Foundation, the Science Foundation of Chinese Ministry of Human Resources and Social Security, and the Scientific Research Fund of PUMCH. Dr. Liu has published more than 40 scientific papers in national and international peer-reviewed journals. She has presented her work in many regional, national, and international congresses. Dr. Yan Yan is an Associate Professor of Dermatology at Peking Union Medical College Hospital, Chinese Academy of Medical Sciences and Peking Union Medical College. She received her MD degree from China Medical University in 1999 and her PhD degree from Chinese Academy of Medical Sciences & Peking Union Medical College in 2006. Dr. Yan was a postdoctoral fellow at Kurume University Institute of Cutaneous Cell Biology in Japan from 2012 to 2013. She currently focuses on the study about the mechanism of UV damage in the human skin. 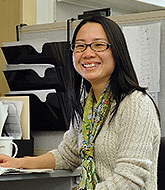 Her research on skin photo damage has received funding from the National Natural Science Foundation of China. Dr. Zhao serves as Associate Professor of Hematology at Beijing Key Laboratory of Hematopoietic Stem Cell Transplantation, Peking University Institute of Hematology, People’s Hospital. She received her Medical Degree from Qingdao Medical College in 2002 and her PhD degree in 2007 from Peking University. She is a member of Chinese Pathophysiological Association of Experimental Hematology, Transplant Immunology group, a young member of the Beijing Medical Association of Hematology and a member of Beijing Youth Federation. Her research interest focuses on transplantation immune tolerance post allogeneic hematopoietic stem cells transplantation and immune mechanisms responsible for graft versus leukemia and graft-versus-host disease. She has published more than 30 scientific articles in international peer-reviewed journals. Dr. Junmin Li is Director and Chief Physician of the Department of Hematology of Ruijin Hospital affiliated to School of Medicine, Shanghai Jiao Tong University and concurrently works as Secretary and Committee Member of Chinese Society of Hematology, Deputy-Director of the leukemia & lymphoma group of Chinese Society of Hematology, Vice Chairman of the Chinese Society of Hematology in Shanghai, Standing Committee member of the hematology branch of the Chinese Medical Doctor Association, Chairman of the Chinese Medical Doctor Association in Shanghai, Chairman of the Shanghai Hematological Malignancies Professional Committee of the Chinese Anti-Cancer Association. 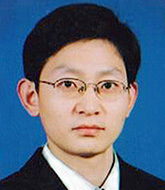 He leads a number of research projects, including a project of the State “973” Fund, a project of the State “863” Fund, a special project supported by Ministry of Health, a project supported by National Natural Science Foundation of China and a project supported by the Shanghai Committee of Science and Technology. He has received six awards, including the third place prize of Shanghai Science and Technology Progress award, second prize for Science & Technology Development/Achievement of the Ministry of Education and first prize of Shanghai medical science and Technology Award. Prof. Li Xiao-Rong is currently the Medical Director of the Tianjin Medical University Eye Hospital (TMUEH) in Tianjin, China. He has been working since 1989 when the International Intraocular implant Training Center Tianjin China was established by Prof.Yuan Jia-Qin and Prof. Arthur Lim, which is the first IOL training center using microsurgical technique in China. Currently, Prof. Li is the third successor of the Centre and Director of College of Ophthalmology and Optometry and Eye Institute of Tianjin Medical University, beginning in April of 2004 and February of 2012, respectively. Prof. Li is also a member of the Chinese Ophthalmological Society, the American Ophthalmological Society and the International Retina Foundation. He is the editor of Chinese Journal of Ophthalmology, Chinese Journal of Ocular Fundus Disease, International Journal Ophthalmology, etc. He has also served as Adjunct Professor of the Optometry College of Hong Kong Polytechnic University. Prof. Li obtained his PhD and MD from Tianjin Medical University and post-doctoral research training at Fujita Health in Japan. 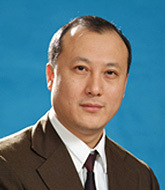 Dr. Zhang serves as Associate Chief Neurosurgeon and Associate Professor in the Neurosurgery Department of Shanghai Changhai Hospital, affiliated with Second Military Medical University. He is a member of the Chinese Society of Neurosurgery. He received his MB degree from Second Military Medical University in 2003 and his MD degree from Second Military Medical University in 2008. He focuses on clinical and basic research of glioma therapy. His research on glioma therapy has received funding from the National Natural Science Foundation of China. He has also received awards for his research in malignant glioma chemotherapy from the government in China. Dr. Xin Chen is an Associate Professor and Deputy Chief Physician of Reproductive Medicine Center, Department of Obstetrics and Gynaecology, Nanfang Hospital, Southern Medic al University. She has been working in the clinical, teaching and research of reproductive medicine for more than 10 years. She was awarded honor titles as Nanfang Hospital advanced individual. She is supported by the National Natural Science Foundation and the fund of Guangdong Province. Dr. Chen has published more than 20 scientific articles in SCI and national core journals. In addition, she has three granted patents.